It seems every man and his dog, well every travel blogger on earth has written a story about Neuschwanstein Castle! I am not going to go into massive details about this amazing castle. We all know that Neuschwanstein is probably the world’s most well-known castle. At the very least Neuschwanstein is the most well-known castle in Europe. We all know it is what the great man Walt Disney modelled his theme park castle on. We all know it is been called a fairytale castle and was built by the most famous Bavarian King of them all, King Ludwig II. What is not so nice is the fact the small village that is home to the castle is overrun by tourists like flies at a BBQ. The wait to buy tickets can be long, parking is hard to come by and the food is expensive. The chance to get a picture without strangers in it is hard to achieve and the walk to the castle is up a steep hill. On the bus ride to the Marienbrucke (it is a bridge that overlooks Neuschwanstein Castle) you are packed in like sardines. Trying to get to the front of the bridge for the ultimate view and iconic photo is like a game of chess. People are pushing and shoving and worst of all the bridge was moving! It was all a little claustrophobic and tarnished the experience slightly…just slightly! 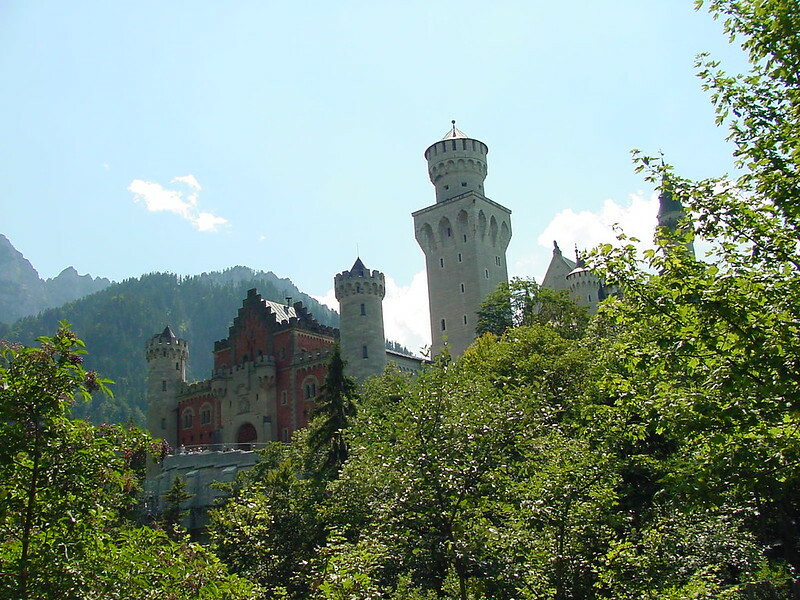 *September 5, 1869 – the date the first stone of New Hohenschwangau Castle was laid. *The new Palace only got the name Neuschwanstein Castle after Ludwig’s death in 1886. *Despite being a medieval design, it was built in the 19th century, and it served no defensive purposes. *The castle is one of the most photographed buildings in the world. Even when photography is not permitted inside of the castle. 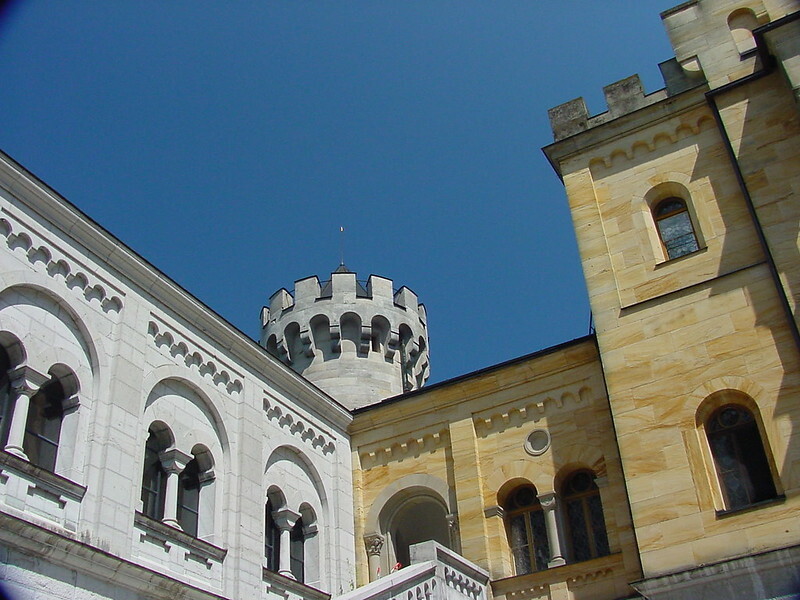 *Even though it is a castle for a King there is no throne in the castle, as the Throne Hall was not completed before Ludwig’s death. *Thanks to its secluded location in the mountains of Bavaria, the Palace was not destroyed during the Second World War. 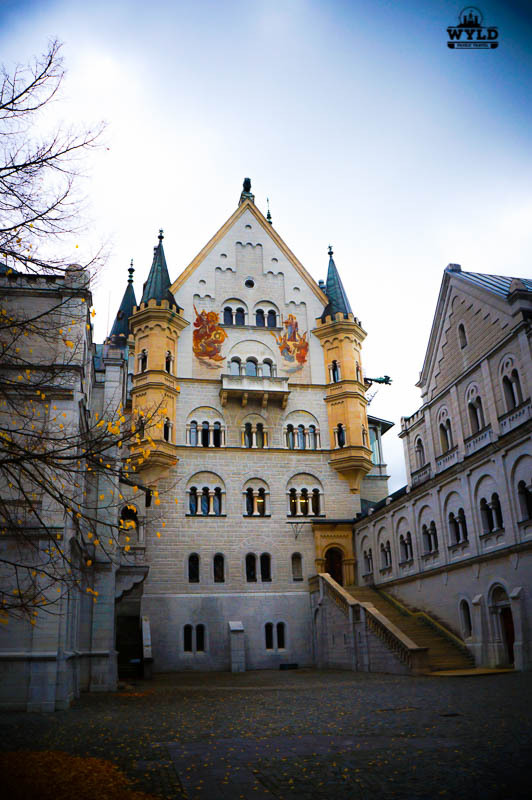 Where did we stay when we visited Neuschwanstein. We stayed at Meininger City Centre in Munich. Meininger is 200 meters away from a train station with a direct airport link. Meininger has a bar, games room, kids corner and a chill out area. One of the best breakfasts I have ever had is available every morning and the staff will help you with tourist information. So, is Neuschwanstein worth a visit? Family Travel Tip: There are horse and carridge rides available to and from the castle. The line to get on going up to the castle is long and the wait can be very long. It is much easier to catch the horse ride down the hill. Our kids loved this part of the visit but then again what kid doesn’t like horse and cart rides! Neuschwanstein castle day trip from Munich. 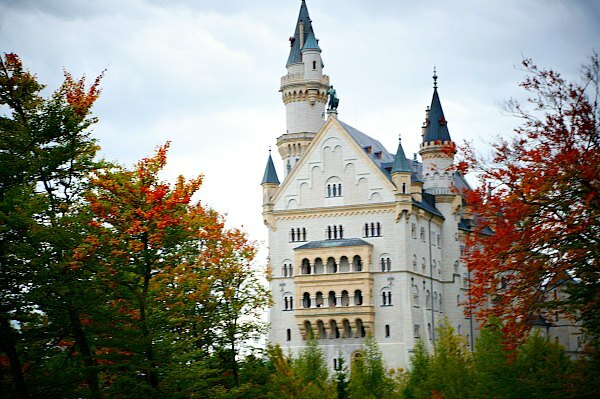 Take a magical 2-hour train journey into the Bavarian alpine countryside and learn about the mystery and legends of mad King Ludwig II of Bavaria. 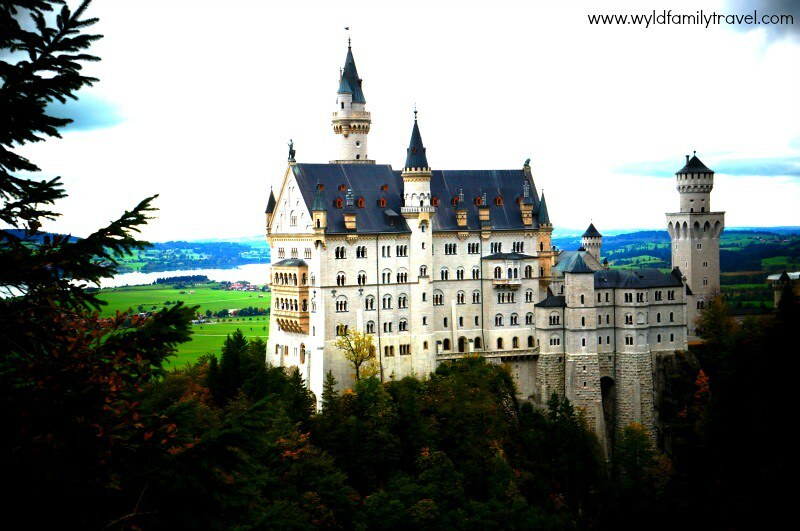 Visit his fairytale castle of Neuschwanstein and enjoy sweeping views of the surroundings. For more information and bookings click HERE. 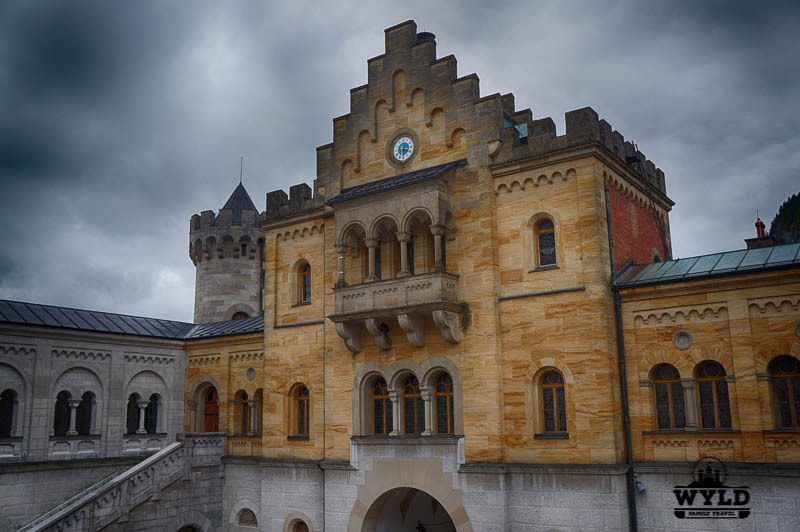 The Palace is situated above the village Hohenschwangau close to the German-Austrian border and not far away from Füssen. We hope you enjoyed this article from us here from Wyld Family Travel. We have included two more below that you may find interesting Just click on the picture to be taken to the story! Oh I am so gutted we missed out on this the last time I was there. Looks so magical! Thanks for the in depth tips! We visited in a May, it wasn’t too crowded, there were no parking problems and it was a great day out. It is definitely worthwhile staying in Fussen rather than Munich though, as you can go up the nearby Mountains by cable car and also visit the thermal baths. The Romantische strasse deserves to be taken slowly! You’re right. 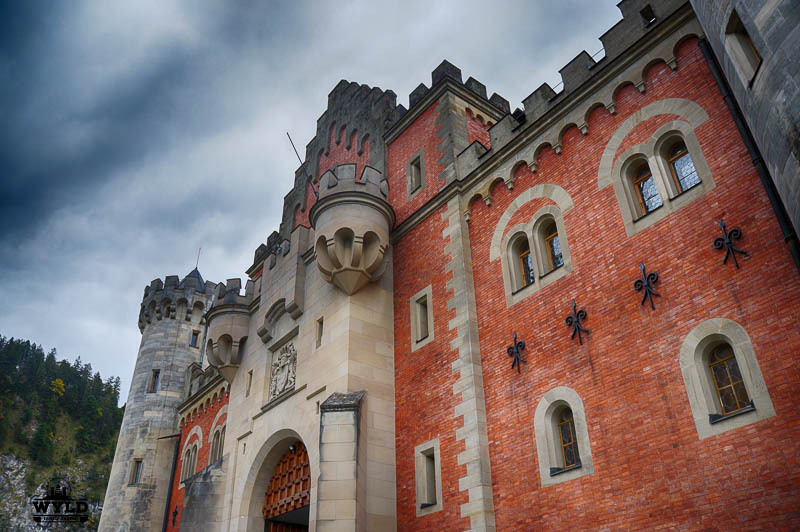 This is probably the world’s best-known castle, yet, it’s always amazing and for some weird reason I haven’t been there. So, I need all the inspiration I can get to actually visit. I’d love to photograph this place and guess the best way to do it is to wake up super early to avoid the crowds! It’s called a fairy tale castle for good reason, it really does look like it’s been pulled from the pages of a story book. Beautiful! Also the horsies, I need the horsies that would make the trip even better. I love how honest you are!! The castle is stunning indeed, but visiting it is not easy and magical as most of the people imagine! Even though, it is a place worth to see, the winter photos are gorgeous! Cheers! 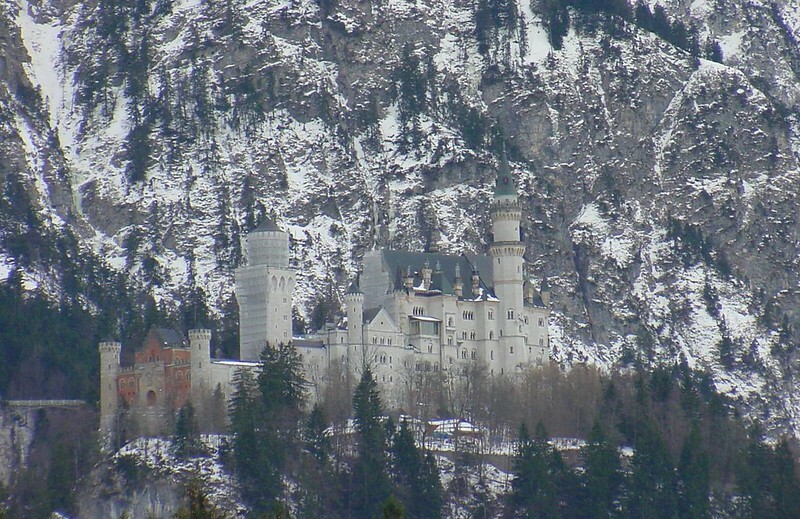 Beautiful photos – I visited Neuschwanstein during winter, though would love to get back to Munich during summer to experience it in both seasons. It’s definitely sad from the point of view of the village that mass tourism is having negative effects on their day to day life. It is the most touristy castle I have ever visited so I’m in agreement with you there. But, it’s still a very beautiful castle and could care less how crowded it is. Though I’ve never been in the winter and it might deserve another look when there are fewer people. Great photos Mark! 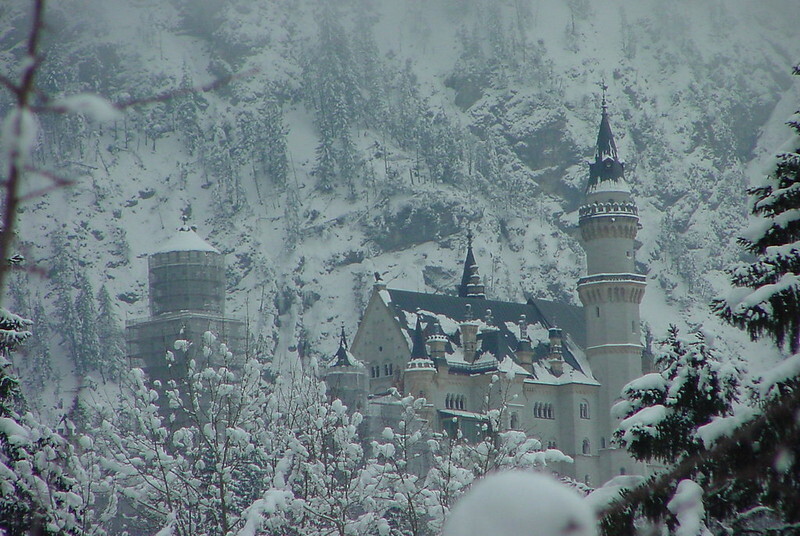 I really want to visit Neuschwanstein alot. It’s a bummer to think about the hoards of people the small town has to deal with. In some sense they are probably benefiting financially from the tourism, but I understand that dealing with mass crowds of people can make the place lose it’s special feeling. We felt that way a bit about Halong Bay, even though we still loved it- it seems like tourism is ruining that natural wonder and we were part of the problem by going. Thanks for sharing your honest opinion and information! I was supposed to visit back in December, but my flight into Munich was delayed. My sister went without me, and said it was just as beautiful as in the photos. I hope to make it there someday soon! I love the little facts you included in the post. I’ve fangirled over photo’s of this castle for a long time, because it’s just the ultimate fantasy building! One day I’ll be able to see it. I visited Neuschwanstein years ago, but only made it to the bridge overlooking it. We were on a road trip so could only stop for a few hours. I agree that it is packed with tours, but that it’s still worth the time to stop in. It’s a beautiful castle. naice!! i love castles and this makes for a very interesting read. Thanks for the post! It looks straight out of a fairytale! Im sure its even more amazing in person! This is a fascinating castle and it is really a pity that it is overrun by tourists. That happens to most of the beautiful places in the world. A catch-22 situation of sorts. Thanks for a different perspective on the castle. The post is very informative.. It looks so magical – I love how you have included pictures from different seasons, it’s beautiful whatever the weather! hey Mark the picture is you taken with your family is pretty awesome, which camera do you use for taking pictures ?